It's not everyday the author of a book gives you his book to read! The last time it happened to me was when Ron Joyce, the Co-Founder of Tim Hortons, gave me his book, "Always Fresh". I was lucky enough to meet Andreas Souvaliotis through the Next 36 network, and after our first meeting, Andreas was kind enough to invite me to his house and give me a copy of his book! It's a short book with one-word chapter titles that go straight to the point, such as "Work", or "Love". My favourite is the chapter "Gay", an awesome statement of a part of Andreas that he doesn't shy away from. In fact, I don't think Andreas shies away from much. This book reveals as much about his journey as it does about his emotions along that journey - from his love of music to his love of others, and from his family's trials to his personal low-points in his career. Andreas, much like he is in person, gets to the point and puts his whole heart into everything. 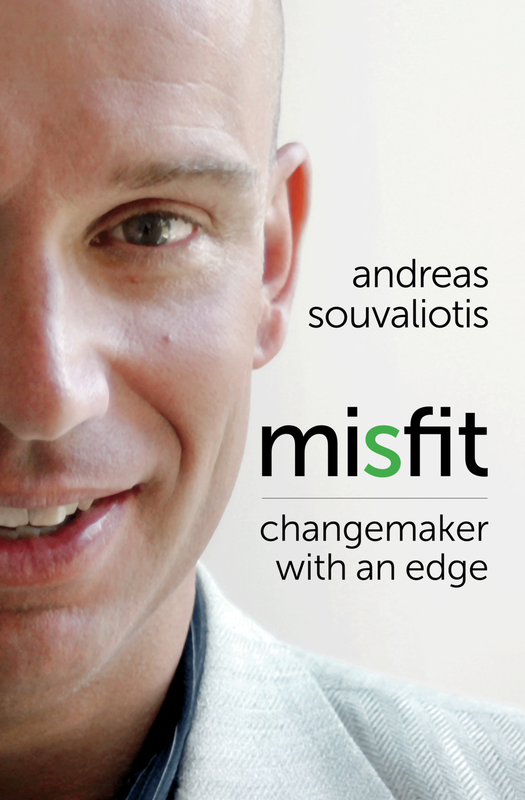 Unlike other autobiographies, Andreas' book is refreshing because it doesn't seem like it has an agenda. Other autobiographies written by past presidents or past vice president candidates always seem to be trying to justify some action they did, or to get their word in against the mainstream point of view. Misfit doesn't have that, or at least if it does, I didn't sense it, and he's a master of deception (or I'm highly gullible). The only thing I have against the book was that sometimes I felt things occurred too magically for Andreas. While I don't doubt his career took off like a rocket ship, I don't think those things come as easily as he made it seem in the book. I felt myself thinking, "Was it really that easy?" or worse, "Why can't I make it seem that easy?!"